The word yoga comes from Sanskrit and means union, the mind and body forces in union. There are eight stages of yoga, and I practice and teach Hatha Yoga. I started practising hatha yoga at a very early age, encouraged by my grandmother. I had been dancing for many years and for all these years I had seen my grandmother practising hatha yoga every morning on her veranda. One day back in 1974, she asked me if I wanted to come to her classes with Jean Pierre Bastiou in Copacabana, and from that day, I joined the classes and embraced yoga as a daily practise. I moved to my grandmother's house, and together we practised every day. We changed our eating habits to a more balanced diet and after a year, she invited me to go to India, where we spent the first month travelling with our yoga group, visiting ashrams and temples all over India. After they left, we went to grandmother's ashram in Adyar, and travelled for another two months. This experience changed my life completely, and challenged me to see and live my life in a more simple way. In 1976 I went to study in Krisnamurti's centre in Brockwood Park. 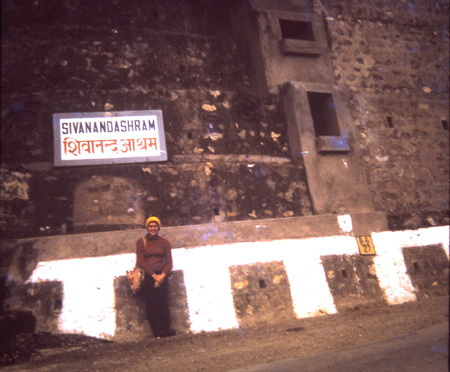 Arriving there I met my yoga teacher Erich Shiffman and we had classes twice daily. Together with the environment and Krisnamurti's teachings, the yoga really sank in. Erich became a good friend as well as my best teacher. I feel the practice of yoga induces a primary sense of measure and proportion of your body, your first instrument. With patience and harmony we move and refine these movements through postures or "asanas". And the breathing exercises or "Pranayamas" enrich the practice with calmness and focus. Hatha means force, yoga means union, so hatha yoga is the discipline of the body through the exercises or asanas.